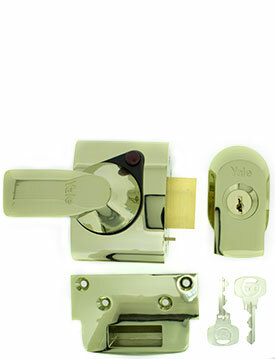 Yale PBS4 Egress Nightlatch has been designed to meet both the Insurance and Fire Regulations. 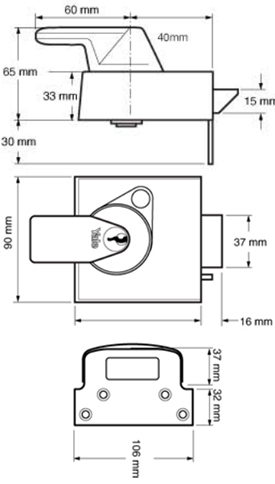 This lock is suitable for communal exit doors as it is not able to be deadlocked from inside but also complies with the Insurance companies requirements to meet the BS8621:2004 (for escape locks) rating. Suitable for both exterior and interior doors and recommended for Solid wooden doors. External: 6 pin key to unlock. Internal: Bolt can be held back by push button. No key locking feature for free exit at all times. Bolt automatically locked against end pressure when the door is closed with two position auto-deadlocking for increased security. 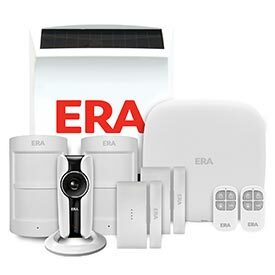 The styling will enhance the appearance of any door and the ergonomically designed handle is extremely easy to operate, especially by the elderly or infirm. Extended striking plate strengthens the door jamb. Lockable handle prevents reaching in and opening the door. These locks Keyed alike will only be supplied with 2 keys per lock - so if you order 2 x locks you will get 4 x keys. 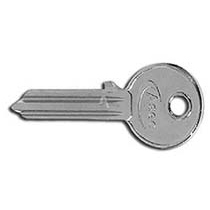 PLEASE NOTE - keyed alike locks will lose the BS3621 rating as they are keyed alike in house - if you require all the locks to be BS3621 then please contact us.